One of the reasons why I am happy I chose to enroll my child at CFIS is that they have science classes. The children have been learning about a variety of subject matter, from the water cycle to the solar system and different states of matter. 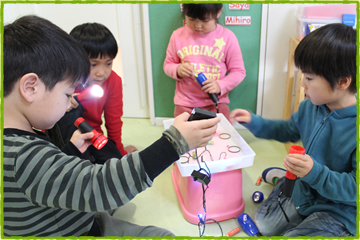 At first some of the lesson content I saw looked a bit difficult, but the teachers devise many ways to make learning fun and relevant for the children such as doing crafts and conducting experiments. I got the feeling the children really understood many aspects of those potentially challenging core ideas and were able to increase their knowledge base. My son didn’t just learn English; English broadened his interest in learning. The best thing about CFIS is the teachers’ zeal concerning their educational system and safety of their students. I started seeing many positive changes in my daughter after few months. She loves going to CFIS each morning, and she always has something interesting to talk about at the end of the day. Sometime she cried ‘why is today Saturday?’ My husband and are really surprised by the safety measures taken by the teachers too. We feel really safe when my daughter is at school. Since she started, we have watched her grow into a confident little human being, and we owe much of this to the efforts of CFIS teachers. My daughter joined CFIS two years ago, and now she is using at home the English that she has been learning from her teachers and classmates. 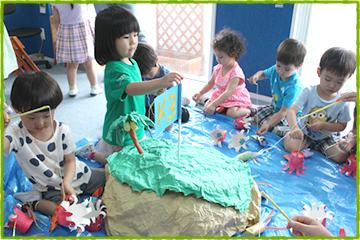 At this age, children express their interest in many things and they can absorb so much. I am happy my daughter is being supported not only in her language acquisition but also in the development of her social skills. I like the balance between autonomy and cooperation the curriculum provides and I am looking forward to seeing my child continue to grow both physically and as a person as her language abilities develop even further. 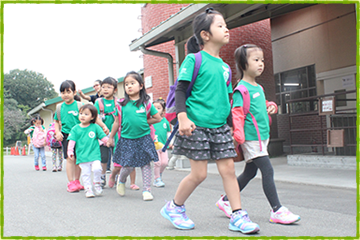 CFIS has provided a wide variety of regular courses and experiences for the kids including swimming, dancing, park time and regular field trips along with fundamental language and social skills all in a safe and encouraging environment. With our children being bilingual and bicultural, we have concerns about preparing them for enrollment into Japanese elementary school. We really like the approach that CFIS takes in this area. CFIS recognizes the benefits of enrolling a multi-cultural student base rather than focusing on specific language skills. Because of this, their focus becomes more on teaching children how to learn and how to assimilate in a social learning environment. We like this approach and feel this will better prepare children to be successful lifelong learners regardless of the elementary school system they proceed onto after CFIS. When the time came for us to look for a preschool for our two-year-old son, we went to visit a few different places. 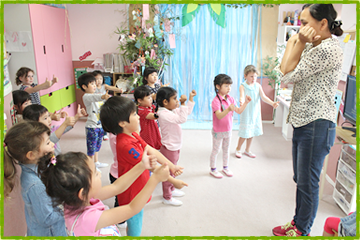 The most important thing for us was the way the teachers interacted with the children. We decided on CFIS because we agree with the school’s educational ideals and we loved the atmosphere we experienced during our school tour. Now it is a year since our son started, and we are very grateful to the teachers for watching the children closely and most importantly, interacting with them in a way that is respectful of their individual uniqueness. We can really tell how much our son has grown up. We are very happy we chose CFIS. Coming from overseas, we were worried about education in a foreign country. We wanted our children to learn about local culture and language, while at the same time, maintain their own cultural roots. Central Forest International School does not disappoint! In fact, it has exceeded our expectations! The curriculum is a remarkable hands-on, interactive learning experience. 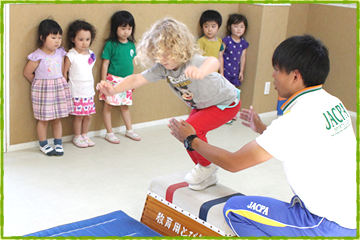 It is varied and provides many opportunities for children to learn in their own ways. 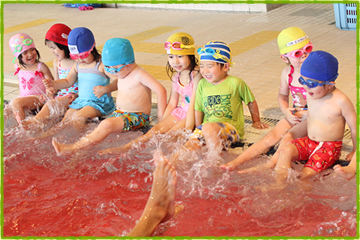 The impressive list of activities appealed to our family: music, dance, swimming and Japanese language classes. Of course there are many trips to the neighborhood parks and numerous field trips! However, the very best thing about Central Forest International School is the kindness of the staff toward every child and parent that enters their doors. The teachers are devoted professionals, who consistently facilitate and nurture the ‘whole child’. The facility is also warm and inviting with students’ artwork and photographs. The transparency of the learning that happens within these walls is amazing! Our family is extremely pleased with our children’s overall progress. With no immediate family living near us, Central Forest has become our extended family who has truly helped our children grow up great. This school is simply a magical place. We will cherish the lessons our children have learned, experienced, and taught us. We’re forever grateful! Copyright (C) Central Forest International School All Rights Reserved.